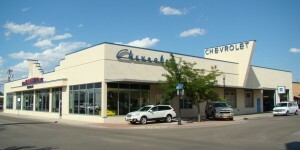 Although this block once housed another automobile business in 1920, it is known now as the location of Hammer Chevrolet. The business keeps close ties to its past through the 1950s era signage and date of founding, 1937, present on the building’s exterior. The business began as Smith Close Farm Implements in 1929 before becoming Fuhrmeister-Engle Inc. Agricultural Implements, which was in business for a short period of time. The business was officially known as Hammer-Staunton Agricultural Implements and Chevrolet in 1937. The partnership ended in the late 1940s and became Ed Hammer, Inc. with the business transitioning strictly to automobiles. In 1950 the service area was added as well as the Art Deco design. A complete remodel/restoration in 2004 continued to honor the Art Deco design. 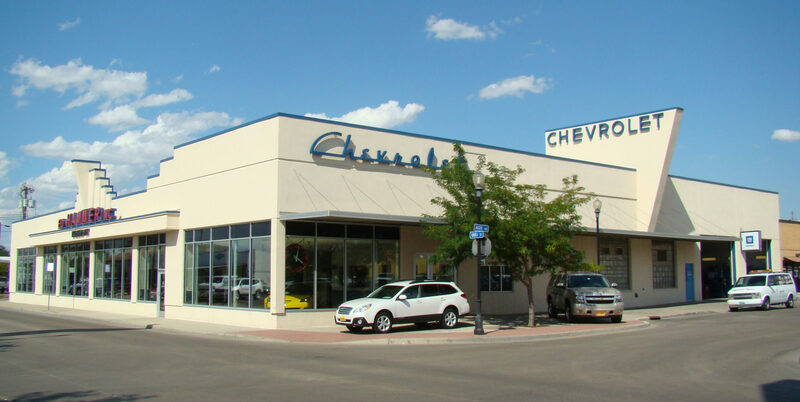 It is the oldest continually owned family dealership in the state.